After tying the knot last year, Aaron Kwok (郭富城) and Moka Fang (方媛) became first-time parents and welcomed a baby girl. Aaron eased into his new roles effortlessly, becoming a devoted husband and father. To celebrate their daughter Chantelle’s first birthday, Aaron threw a party and invited many friends from within the entertainment circle. Aaron even allegedly took the opportunity to announce that the Kwok family is expecting a new member – Moka is pregnant again! 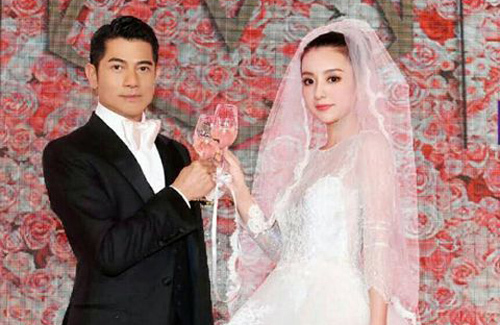 4 comments to Aaron Kwok, Moka Fang Expecting Second Child? @littlefish that’s the good thing marrying a young woman…lower problem of conceiving.